Etisalat United Arab Emirate (otherwise called Etisalat Group), the parent company of Etisalat Nigeria, on Tuesday, notified the Abu Dhabi Securities Exchange that it has pulled out of Nigeria. Recall that earlier on Tuesday, a consortium of banks led by Access Bank Plc and other Nigerian and foreign banks, announced that they had taken over the management of Etisalat Nigeria, putting a final seal on the protracted negotiations between the firm and its creditors. In the notification letter, Etisalat UAE informed the Abu Dhabi Securities Exchange of its decision to transfer its shares in Etisalat Nigeria to the appointed security trustee of the consortium of banks led by Access Bank Plc. Confirming the decision of Etisalat UAE to divest its shares, Chief Executive officer of Etisalat Nigeria, Mr. Matthew Willsher, in a press statement made available to The Daily Times said: “Our renegotiation with the banks are not yet over, but our shareholding structure is evolving. This morning, Etisalat UAE notified the Abu Dhabi Securities Exchange of the forthcoming transfer of their shares to the appointed security trustee of the banks. The exact nature and timing of the transfer is still under discussion, but we expect the final transfer to be done in a coordinated manner”. “This was always one of many possible outcomes. The business will of course continue to operate, because any planned exit will be carried out in coordination with the banks, regulators and shareholders. “Our immediate priority though is to ensure that there is no disruptions to day-to-day operations of the business. In spite of the changes that lie ahead, we aim to maintain continuity through our focus, capabilities, and values. However, the Federal Government on Tuesday waded into the controversy surrounding the takeover of Etisalat Nigeria, by a consortium of banks, led by Access Bank. The Federal Government, in an unequivocal statement, declared that lender banks cannot take over Etisalat Nigeria, the number four mobile phone provider in the country, without regulatory approval. The government, through the Nigerian Communications Commission (NCC), the telecommunications industry regulator, said that they have a few regulatory hurdles to cross. Although NCC did not explain what the regulatory hurdles were, the consortium, led by Access Bank, and some foreign banks had insisted that they have taken over the management of the telecom’s provider. “The grant of a licence shall be personal to the licensee, and the licence shall not be operated by, assigned, sub-licensed or transferred to another party unless the prior written approval of the commission has been granted.” According to the Nigerian telecoms’ regulator, Sub Section 2 of the same provision equally states that, “A licencee shall, at all times, comply by the terms and condition of the licence and the provision of this act and its subsidiary legislation. “The NCC wishes to assure the over 21 million Etisalat subscribers that it will do all within its regulatory power to ensure that Etisalat subscribers continue to enjoy the services provided by the operator,” the Commission said. According to Ojobo, “the Commission has taken proactive steps to cushion the impact of the takeover”, adding, “This is without prejudice to the ongoing effort between Etisalat and the banks towards negotiated settlement.” Although the NCC spokesman did not give further details of the measures that have been taken to cushion the impact on Etisalat Nigeria subscribers, but he gave a ray of assurance. “Whilst the banks and Etisalat are working at resolving the issues, the Commission wishes to assure subscribers that they will continue to enjoy the services provided by Etisalat,” Ojobo added. Earlier on Tuesday, a consortium of banks, led by Access Bank Plc and other Nigerian and foreign banks, announced that they have taken over the management of Etisalat Nigeria, one of the telecommunications providers in the country, putting a final seal on the protracted negotiations between the firm and its creditors, which has, since June 15, led Etisalat to relinquish its ownership and control over the company. Consequently, following the collapse of talks to reach agreement with the banks on debt restructuring plan in the protracted $1.72 billion (about N541.8 billion) debt impasse, the firm’s creditors ran out of patience and resolved to take possession of the company. The takeover is coming on the heels of the failed effort by Emerging Markets Telecommunications Services, EMTS, promoted by-one time Chairman, United Bank for Africa, UBA, Hakeem Bello-Osagie, to reach agreement with the banks on debt restructuring plan. However, EMTS Holding BV, established in the Netherlands, has up to June 23 to complete the transfer of 100 per cent of the company’s shares in Etisalat to the United Capital Trustees Limited, the legal representative of the consortium of banks. 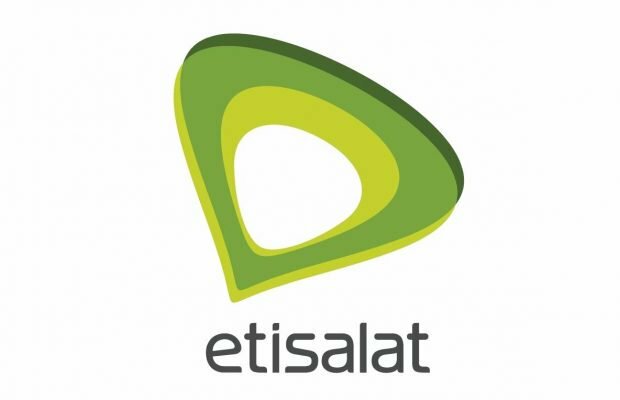 The notification letter, with reference number, Ho/GCFO/152/85, and dated, June 20, 2017, signed by Etisalat Group Chief Financial Officer, Serkan Okandan, said efforts by EMTS to restructure the repayment of the syndicated loan by a consortium of banks to Etisalat Nigeria had collapsed. “Further to our announcement dated, 12 February, 2017, Emirates Telecommunications Group Company PJSC, “Etisalat Group,” would like to inform you that Emerging Markets Telecommunications’ Services Limited “EMTS” (“the company), established in Nigeria and an associate of Etisalat Group with effective ownership of 45 per cent and 25 per cent ordinary and preference shares respectively, defaulted on a facility agreement with a syndicate of Nigerian banks (“EMTS Lenders”). “Accordingly, the company received a default and security Enforcement Notice on 9 June, 2017, requesting EMTS Holding BV (EMTS BV) established in the Netherlands, and through which Etisalat Group holds its interest in the company) requiring EMTS BV to transfer 100 per cent of its shares in the company to the United Capital Trustees Limited (the Security Trustee”) of the EMTS Lenders by 15 June, 2017. Etisalat has been under pressure since 2016, following the demand notice for the recovery of a $1.72 billion (about N541.8 billion) loan facility it obtained from a consortium of banks in 2015. The loan, which involved a foreign-backed guaranty bond, was for the mobile telephone operator to finance a major network rehabilitation and expansion of its operational base in Nigeria. Due to its inability to meet its debt servicing obligations agreed since 2016, the consortium, prodded by their foreign partners, threatened to take over the company and its assets across the country. But, the intervention of the telecom sector regulator, Nigerian Communications Commission, NCC, and its financial sector counterpart, the Central Bank of Nigeria, CBN, persuaded the banks to rethink their threat and give Etisalat a chance to renegotiate the loan’s repayment schedule. Meanwhile, Engr. Lanre Ajayi, CEO Pinet Informatics and Immediate Past President of Association of Telecoms Companies of Nigeria (ATCON), in a telephone interview with The Daily Times, said that the purported takeover of Etisalat by the banks is not a healthy development for the telecom industry in Nigeria, as he expected the company and the banks to resolve the issue amicably.